Losing your calendar entries on your iPhone can be a very frustrating situation. That's why Apple iCloud allows users to back up all calendar entries to the cloud. To save calendar to iCloud, you need to sync calendar with iCloud. Once done, you can easily export the calendars to Outlook or iCal with an ICS file. Or, or you can save calendar from iPhone to iCloud by making an iCloud backup, then your Calendar will be totally safe in iCloud. In this article we are going to be looking at a few simple ways to save iPhone calendar to iCloud. Let's begin with the simplest way to do that. Step 1: Open settings on your iPhone and the tap on "iCloud." If you have never used iCloud before, you will first of all need to create an account. Tap "Sign in With Apple ID" and then follow the prompts to create an iCloud account. Step 2: Now, tap on the toggle next to "Calendar" to turn on Calendar syncing. You should see a message confirming that you have turned on Calendar syncing. Wait until the message disappears before closing iCloud. 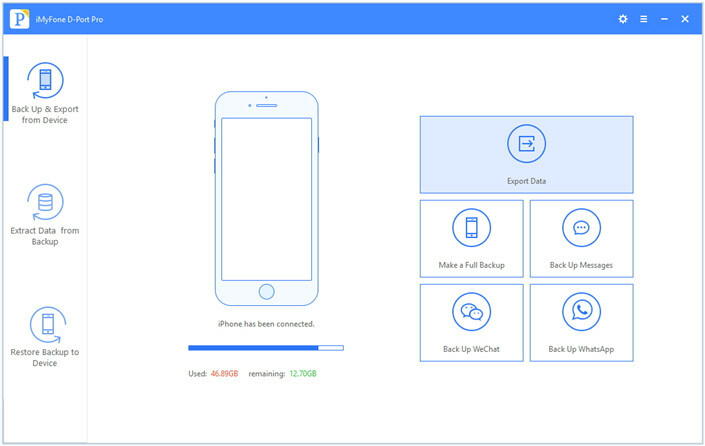 While this method can allow you to transfer iPhone calendar to iCloud, it is not really a backup method since any changes you made to the Calendar entries will also be made on the calendars on iCloud account in real time. 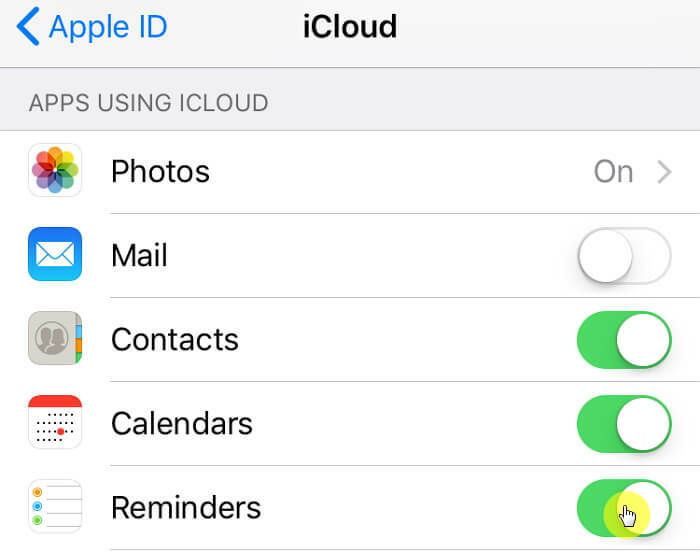 If you want to safely save Calendars to iCloud, try our second solution. Step 1: Begin by connecting the iPhone to a Wi-Fi network. Step 2: Now go to Settings > [Your Name] and then tap on iCloud. On iOS 10.2, open settings and scroll down to find iCloud. Step 3: Tap on iCloud Backup or if you are using iOS 10.2, tap "Backup." Also make sure that iCloud Backup is turned on. Step 4: Tap "Backup Now" and wait for the backup process to be completed. You can go to Settings > [Your Name] > iCloud > iCloud Backup to check of the backup process was successful. Under "Back up Now" you should see the latest backup. You can't back up only Calendars on your iPhone, you have to back up all the data. 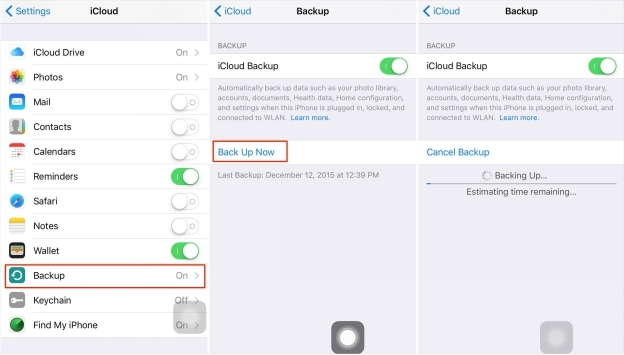 With a 5GB storage allowance on the free iCloud account, it is likely that you may not be able to backup all your data. You can't view the data on an iCloud backup file until you restore the backup. 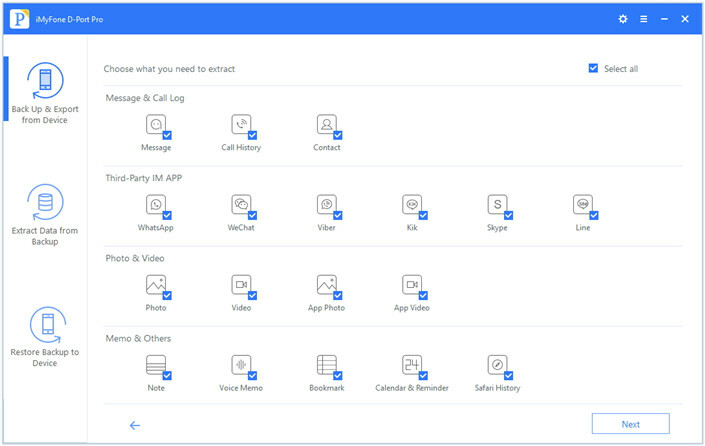 If you need a more comprehensive and more reliable solution to avoid the disadvantages outlined above and save your calendars with better security, we recommend using iMyFone D-Port Pro. 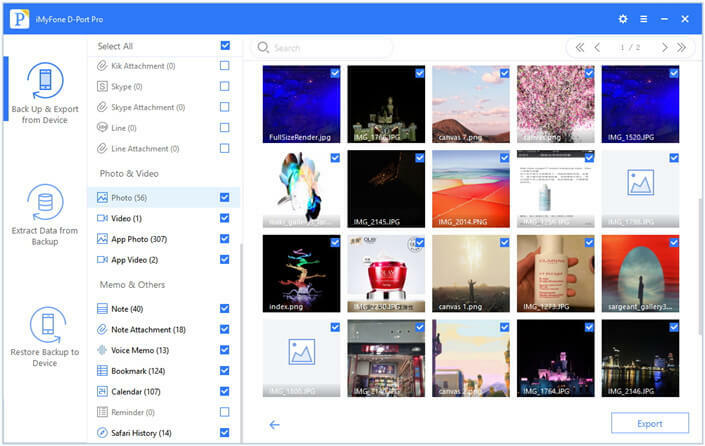 D-Port Pro can save calendars from your iPhone to the computer, so there is no need to use up your iCloud storage space. The calendars you save using D-Port Pro will remain intact; the program doesn't change their status. A feature that allows make a separate backup of Calendars will soon be added to the D-Port Pro toolkit. Step 1: Install D-Port Pro on your computer and then launch it. From the toolkit presented on the main window, select "Back up & Export from Device" and then select "Export Data." Step 2: In the next window, you'll need to choose the types of data you need to export. In this case, make sure that "Calendar" is selected and then click "Next" to continue. If you need, you can also choose other types. Step 3: The program will scan the iPhone for Calendars on it. Once the scan is complete, select the calendars you need to save to your computer and click "Export." You have learned how to save calendar from iPhone to iCloud from the article, but iMyFone D-Port Pro provides a more efficient and reliable way to save your Calendars to your computer. You won't need to use up your iCloud storage and you can easily import the Calendars back to your iPhone at any time. Try the free trial version of the program and see what it can do for you.